This design is unique old style for Cops and enhanced wrist long leather with double palm. 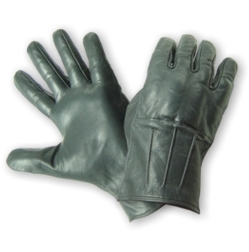 A heavy duty supreme quality leather glove with 8 oz steel shot in the finger fist. This glove is only fourpockets for lead/steel shot in the kuckle area. This old but unique style in our SAP gloves.